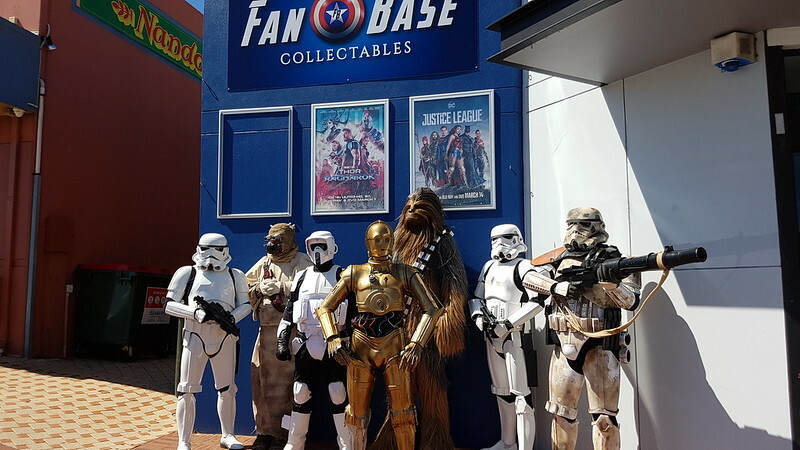 The Great-Another fun multilegion event with the 501st Desert Scorpion Garrison. While the changeroom was cramped, we worked in shifts to get dressed and it worked well. First official outing for C3P0! He and Chewie were quite popular. The store owner was ecstatic about our presence and the costumes we provided and would love to contact us for future events (retail moratorium permitting). The owner also gifted us with pop vinyls which many of us will be donating to the Supanova charity raffle. The Need for more work-The first time out for Brad was a bit harrowing at first and he couldn't stay out long due to the claustrophobia of the costume. When moving he needs a dedicated wrangler given his lack of visibility and mobility. He has since worked on some aspects of the costume to give him more comfort within.